Cooling demand for diamond jewellery in China has come at the same time that prices for rough gems began to dip. Weaning demand for diamonds in China, the second largest consumer of precious gems after the U.S., has dragged the seemingly immune-to-the-commodities-rout sector down the slippery slope. 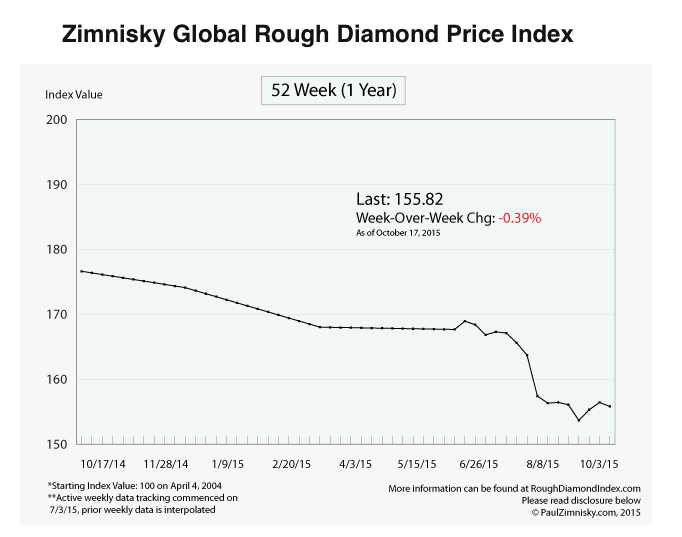 According to Zimnisky Global Rough Diamond Price Index, prices for the precious rocks have fallen almost 12% in the past year, squeezing producers profits. Conditions deteriorated sharply in the second half of this year, when diamond prices took a steep dive. The carnage deepened troubles in the sector, as dealers had already began facing difficulties to sell their existing inventory into softening markets, while also facing tougher financing conditions. At the same time, Anglo American-owned De Beers, the world’s No.1 diamond producer, has been increasing spending on marketing in China. The goal, says the company, is to prop up growth and attract new consumers, targeting women between the ages of 18 and 29, and buyers in third- and fourth-tier cities. The gloomy conditions, however, are set to fade soon, says Rio Tinto, the third-biggest diamond producer. The company believes that China’s demand for diamonds will pick up pace faster than the global average as gains in household wealth drive a demographic and cultural shift across the nation. Alan Davies, Rio’s diamonds and minerals chief executive officer, said that as China moves toward a consumption-based economy, sales are likely to grow 8% a year in the next five to 10 years, exceeding the 3% to 5% per annum forecast for the world, he said in an interview with Bloomberg. 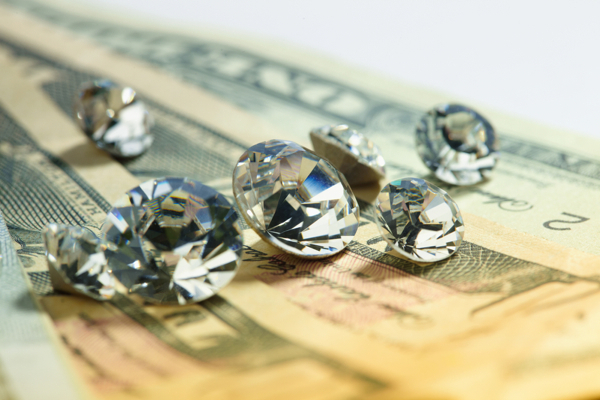 De Beers agrees and anticipates an improvement by 2017 at the latest. In the meantime, the company has cut production twice this year by as much as 15%, and lowered prices at its sales, known as sights. Russia's Alrosa, the world's top diamond producer by output in carats, is even more optimistic. CEO Andrey Zharkov told Rapaport earlier this month that his company expects rough diamond prices to stabilize by the end of the year.